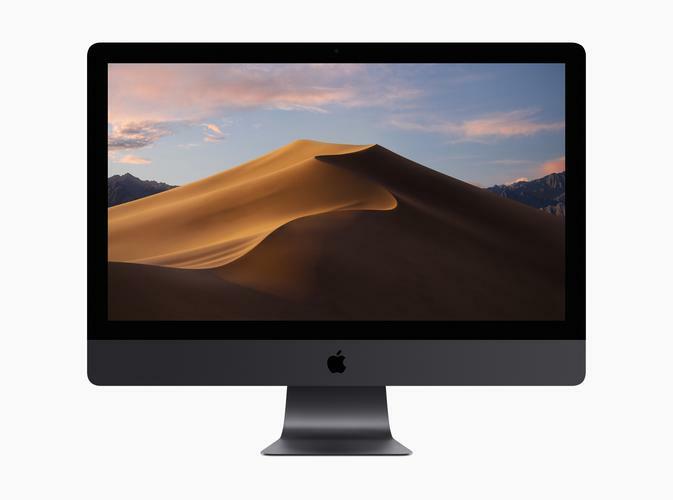 “macOS Mojave is a major update that introduces powerful new features for a wide range of Mac users, from consumers to pros,” said Craig Federighi, Apple’s senior vice president of Software Engineering. macOS Mojave will also introduce the ability to switch to Dark Mode, transforming their desktop to a darkened colour scheme. macOS Mojave also features a new Dynamic Desktop that automatically changes the desktop picture to match the time of day. Mojave will also introduce new "Stacks" for the desktop, which can organise even the most cluttered of desktops by automatically stacking files into neat groups based on file type. Users can customise their Stacks to sort based on other file attributes like date and tags. Finder also gets a significant update in macOS Mojave with an all-new Gallery View that lets users skim through files visually. The Preview Pane now shows all of a file’s metadata, making it easier to manage media assets. Quick Actions allow users to do things like create and password-protect PDFs and run custom Automator Actions on files right from Finder. Quick Look provides a fast, full-size preview of a file, allowing users to rotate and crop images, mark up PDFs and trim video and audio clips without ever opening an app. Several handy apps including News, Stocks, Voice Memos and Home are now available on Mac for the first time. In the News app articles, photos and videos look great on the Mac display and users can follow their favourite publications from one app. With Home, Mac users can control their HomeKit-enabled accessories to do things like turn lights off and on or adjust thermostat settings without ever having to step away from their computer. Voice Memos makes it easy to record personal notes, lectures, meetings, interviews and song ideas, and access them from iPhone, iPad or Mac. Stocks delivers curated market news alongside a personalised watchlist, complete with quotes and interactive charts. As with all Apple software updates, enhanced privacy and security remain a top priority in macOS Mojave. In Safari, enhanced Intelligent Tracking Prevention helps block social media “Like” or “Share” buttons and comment widgets from tracking users without permission. Safari now also presents simplified system information when users browse the web, preventing them from being tracked based on their system configuration. Safari now also automatically creates, autofills and stores strong passwords when users create new online accounts and flags reused passwords so users can change them. New data protections require apps to get user permission before using the Mac camera and microphone or accessing personal data like user Mail history and Messages database.